This blog post is for all of you who love to sparkle, shimmer, and shine – boy or girl! Glittery makeup, glittery clothes, glittery jewelry, glittery hairspray…You can never have too much glitter, right? We bet you’d love to decorate with it. After all, what’s better than some sparkle in your everyday life? It’s tons of fun! But, hold on just one second…did you know too much glitter can be over-stimulating? The reflection of the light can cause havoc on your eyes, which leads to headaches, physical discomfort, or crabbiness. 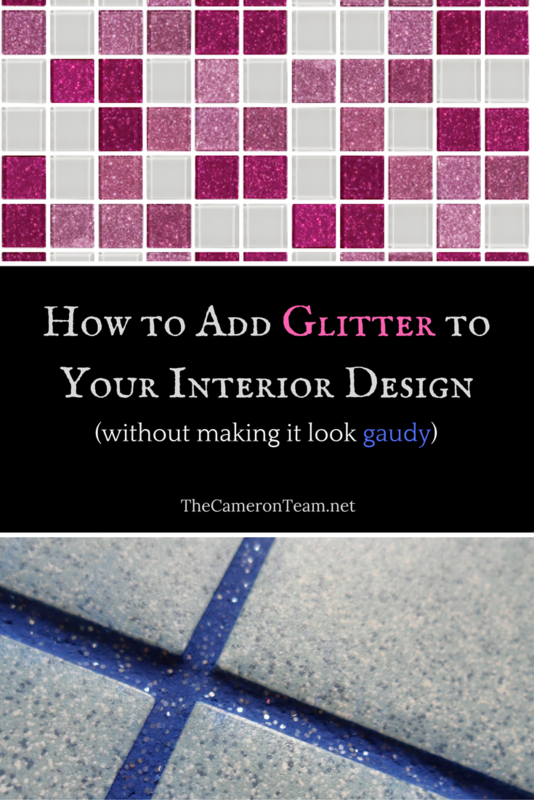 A little glitter here and there is fine, but if you go overboard decorating with it, you may find that your happiness-inducing glitter is having the opposite effect and causing weeks of off and on again headaches. So, before you paint your whole room with glitter paint, consider the long-standing effects, not just on you, but your guests and family members. 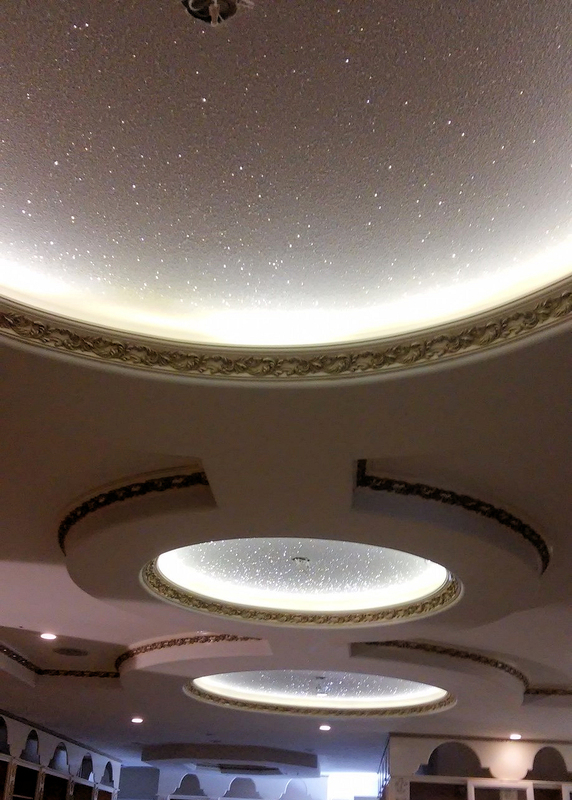 Instead of painting a whole room with glitter paint, choose a ceiling or accent wall. 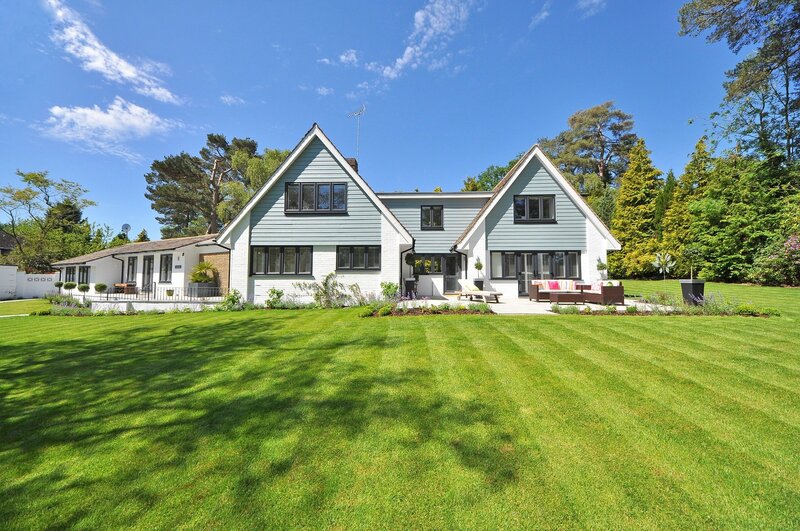 You’ll want to choose a paint option for interiors that’s not in a spray form, which can be messy and dangerous to inhale in such quantities. Meoded makes a Crystal Brush Glitter Paint that is low VOC or you can add crystals to your own custom paint color with Valspar Paint Crystals. Choosing an option like the paint crystals will allow you to choose if you want just a shimmer or a full on glitter effect. Glidden and Rust-oleum have also made limited-time glitter finishes in the past, so it may be worth a quick search to see if they’re being offered when you decide to paint. 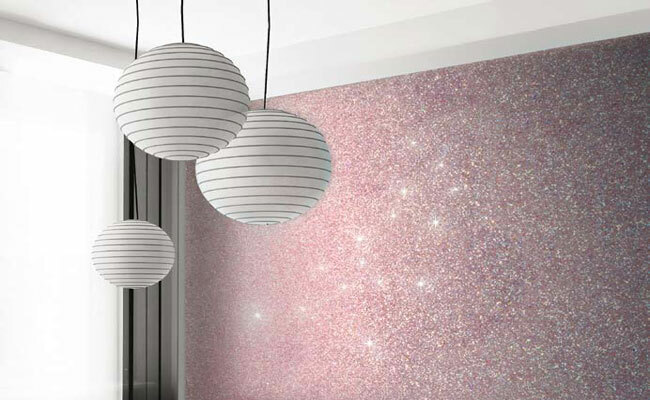 If you want something with a bit more pizazz and texture, as well as uniformity, try out glitter wall paper. Most wallpaper suppliers provide glitzy options, but there are some stores that specialize in this type of wall paper. Check out The Best Wallpaper Place. It’ll give you an idea of the range of options out there. You can also order samples. It’s one advantage wallpaper has over paint options that can require a larger investment to try out. Add just a touch of sparkle to your walls with decals. 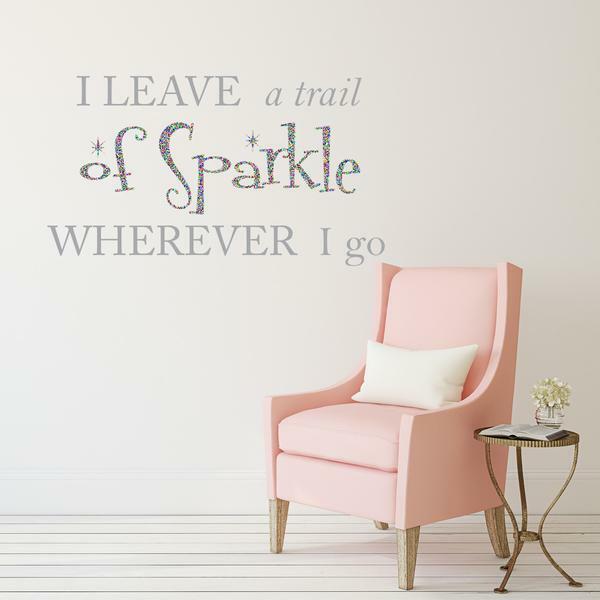 V&C Designs have a full line of quotes that can be made with their sparkle vinyl. If you’re looking for dots, raindrops, or triangles, Fairy Dust Decals can make them in a range of colors. For something much more customized, we recommend checking in with your local sign shop. They will have access to glitter vinyl and can cut you pretty much anything you want. 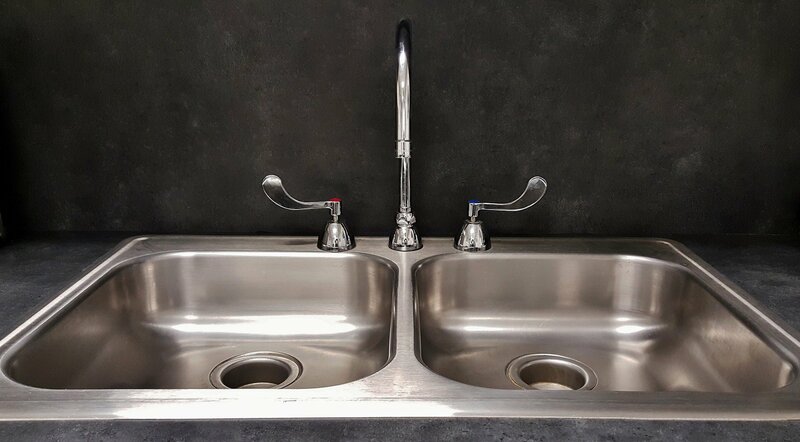 When it comes to decorating bathrooms and kitchens, you want a surface option that stands up to cleaning and heat. Glitter tile is a great way to incorporate sparkle into these rooms. Again, you don’t want to go overboard and cover the entire room, but pick some accent areas, like a backsplash or vanity. 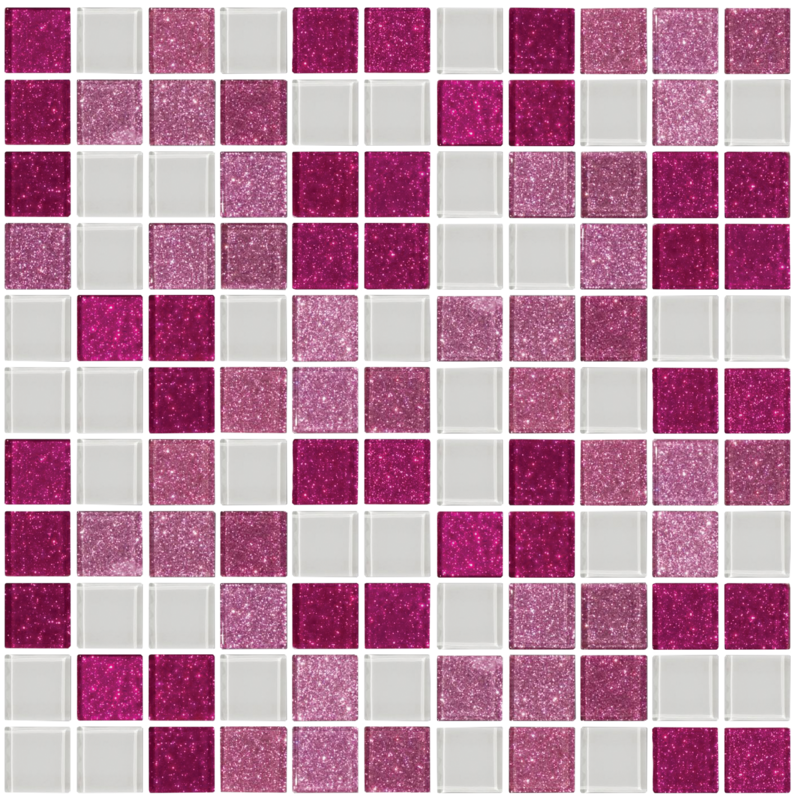 We recommend going with glass glitter tiles, because they’re vibrant and never shortchange on the sparkle. 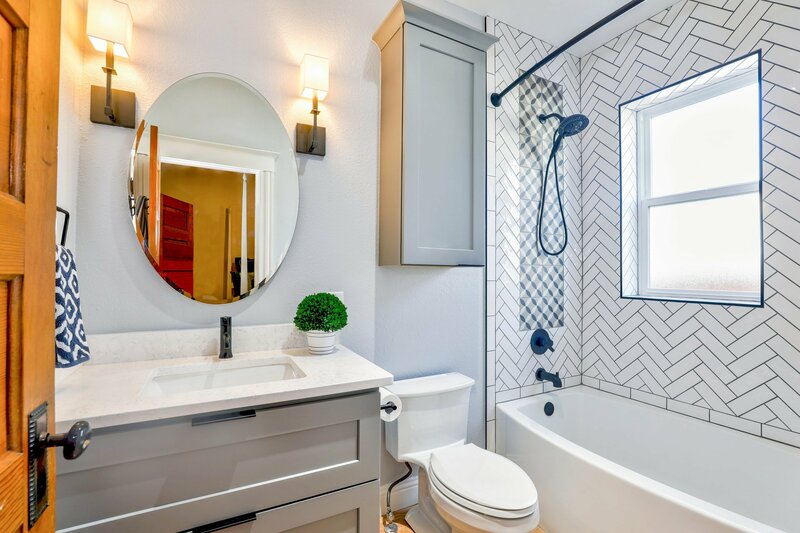 Susan Jablon has a great line of glitter glass tile in both squares and subway tile. 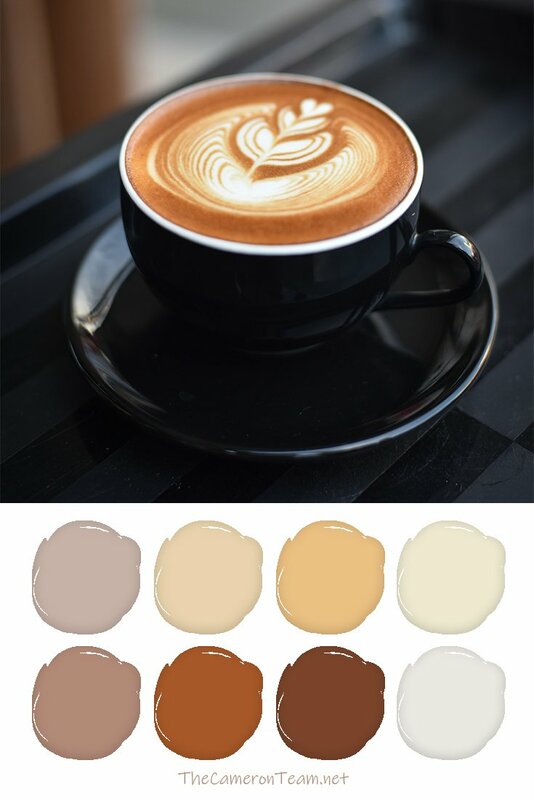 They can be used alone or with solid colored tiles. If glittery tiles feel like too much to you, you may consider using glittery grout. It comes in a range of premade colors, as well as additives that you can put in your own grout. Stainmaster and Fusion Pro have glitter grout options, but Staffordshire Silicones seems to have the most vibrant color options. 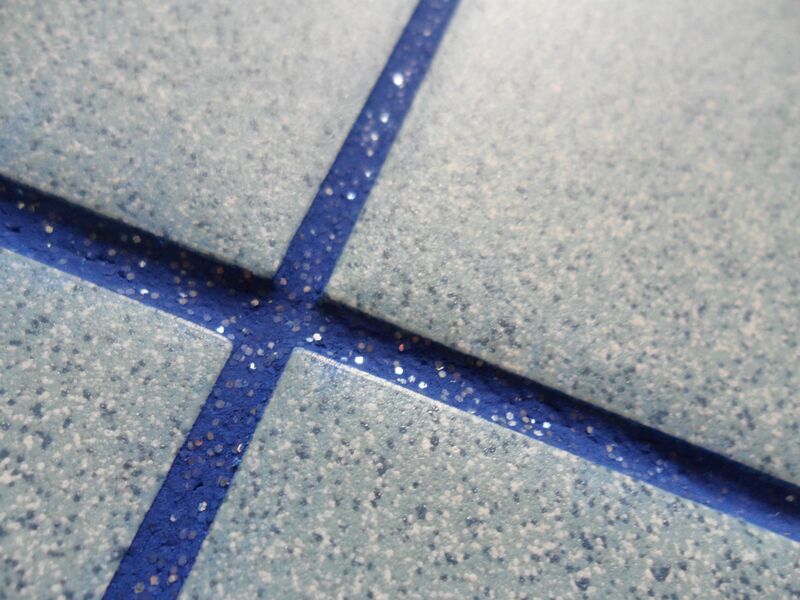 The glitter grout is water and mold resistant, and works with a wide range of tile types. Chances are, you’ve already thought about painting your furniture with glitter, especially after seeing the paint options above. 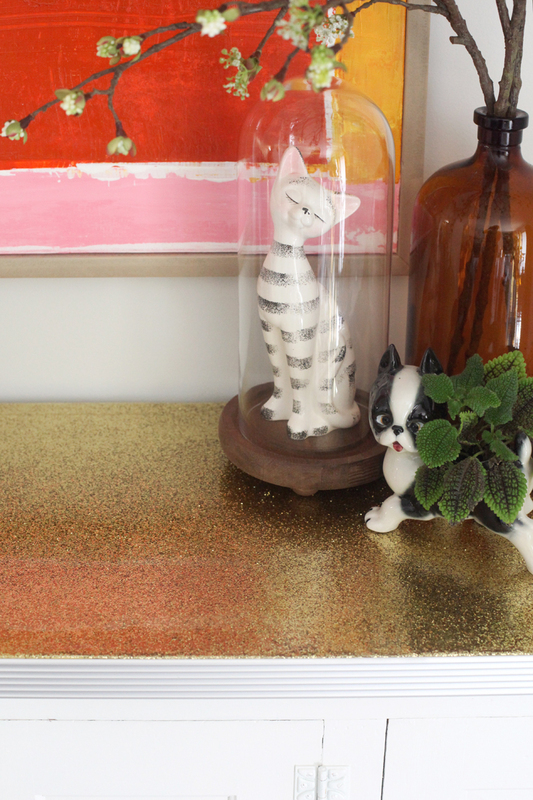 However, there’s an additional way to add some sparkle to tabletops – epoxy! Mandi at Making Nice in the Midwest wanted a durable top for a furniture piece that she was making over. She shares on her blog exactly how she did, so you can replicate it in your own project. 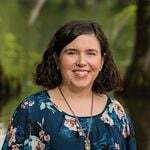 Looking for another example? Check out this pink glitter table. Pillows, shelf accessories, and wall art are also a great way to add a touch of sparkle to your home, but if you’re looking for something a bit more permanent, consider one of the options above. If you’ve found a glitter product or project that you absolutely love, we invite you to share it in the comments so everyone can benefit from the sparkle.